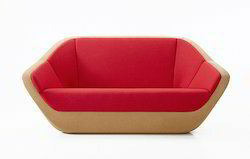 We are a leading Exporter of cork sofa from Mumbai, India. Based on modern technology and developments, we are highly engaged in presenting an exquisite plethora of Cork Sofa within the stipulated period of time. These products are designed by using the high-grade raw material with the help of modern machines. Apart from this, we are offering these products at the nominal market price. Looking for Cork Furniture ?